I just watched the trailer for The King, though honestly I didn’t have to. My movie ticket was sold the second I found out who the leads are. 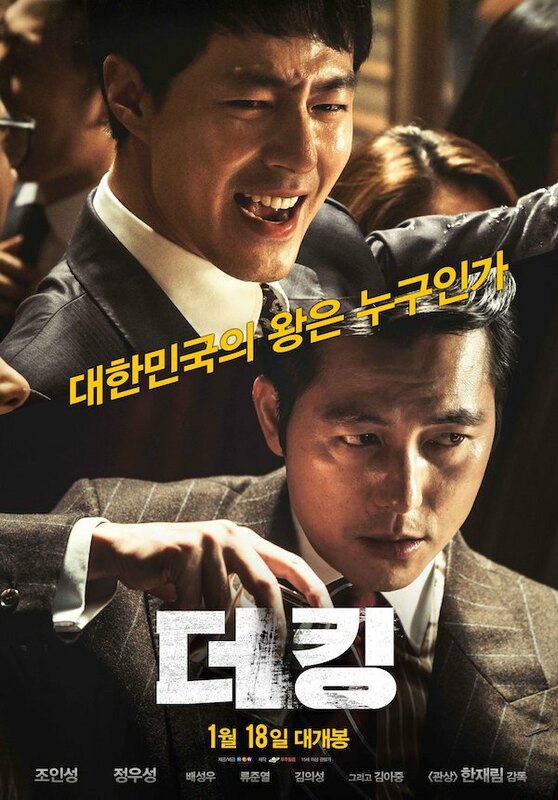 Jo In-Sung and Jung Woo-Sung? Sign me up, please. Though the movie does actually look good. Nah, that’s a total lie. The movie could just be Jo In-Sung and Jung Woo-Sung sitting across the table from each other playing Go and recalling childhood experiences and I would watch it for hours. I love these guys! They’re two of my favorite actors. Wonder how long until we get a nice sub version of this in the States?